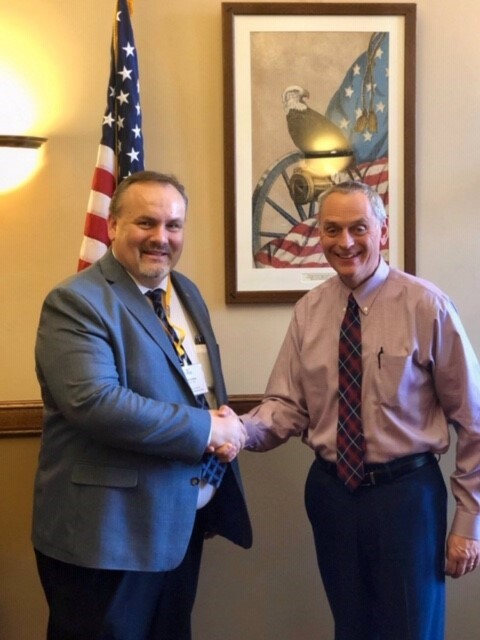 The 2019 WEDA Legislative Day is in the books – and by all accounts, it was another successful event. Over 50 WEDA members traveled to Madison to learn about today’s most pressing economic development legislative issues and were trained on how to be an effective advocate for the economic development profession. After a busy morning of issue briefs, advocacy training and hearing from several speakers – including the Chairman of the Assembly Workforce Development Committee and the WI Department of Revenue Secretary – WEDA members descended on the State Capitol to meet with their lawmakers to brief them on WEDA’s legislative priorities. Legislative issues discussed with lawmakers included WEDA’s concerns over a handful of provisions included in Gov. Tony Evers’ state budget bill that would significantly diminish key economic development tools, such as Tax Incremental Financing and the Manufacturing and Agriculture Tax Credit. Other issues discussed with lawmakers included talent attraction, workforce housing and legislation to close the dark store property tax loophole in Wisconsin. Legislative Day was an exciting event that afforded WEDA members a unique opportunity to build and strengthen relationships with their local legislators and allowed the association to raise its profile in the State Capitol. If you were not able to attend this year’s event, we certainly look forward to your participation at the 2020 WEDA Legislative Day. In the meantime, please feel free to follow WEDA’s legislative activity on our Bill Tracker tool.